TVS recently launched the Apache RR 310, which is based on the new platform developed in conjunction with the German automaker BMW Motorrad. The TVS Apache RR 310 has seen instant success in the market thanks to the company’s investment in research and development of the bike. The Apache’s cousin, 2018 BMW G 310 R has been on sale in various parts of the world but it’s our turn to enjoy the upcoming naked bike from BMW. BMW G 310 R India launch is around the corner and the new bike will have a price similar to its TVS-branded cousin. Our friends at Rushlane report that a reader inquired about the upcoming BMW G 310 R’s launch and price. The same was done via BMW India’s Facebook page and the brand’s reply gave us goosebumps. According to the report, BMW officials replied to the Facebook query claiming that they are in process of finalizing the launch process. In the answer, officials mentioned that the G 310 R will be launching in the coming weeks but they can’t put a date on it yet. The officials also explained how the upcoming BMW G 310 R is a mass market product and will be priced competitively. Despite the claims, we expect the upcoming street naked bike to command a premium pricing to uphold BMW’s snob value. The BMW G 310 R shares its underpinnings with the recently launched TVS Apache RR 310. Both the bikes are iterations of the chassis and drivetrain developed by the German giant while the TVS plays the role of the manufacturer for local as well as export models. The BMW G 310 R has been into production at the TVS’s Hosur plant in Karnataka and the units are being exported to various parts of the world. Considering the Apache RR 310 is feature-rich with the inclusion of LED lights, multifunction digital instrument cluster, aerodynamic fairing and a retuned engine, still costs INR 2.05 lakh. The BMW counterpart will lack these technologies but will still command a premium price over its faired sibling. It will be interesting to see how BMW will be able to justify the premium price tag while lacking features. 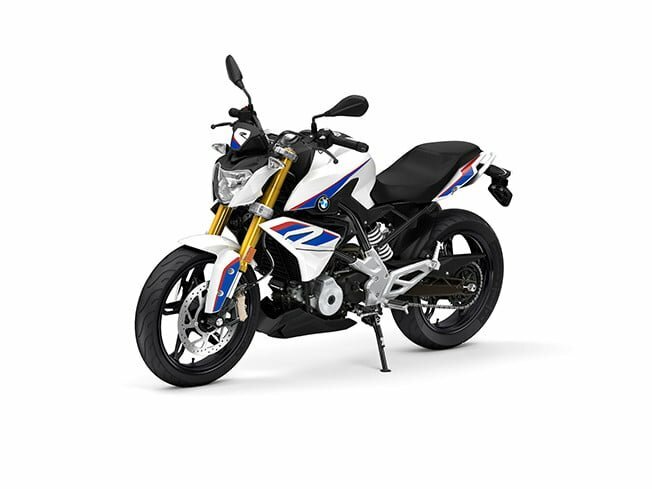 The BMW G 310 R employs a 313 cc single cylinder engine that churns out 34 PS of power and 28 Nm of torque. The engines come mated to a six-speed gearbox. Holding the mechanicals in place is a strong steel frame chassis with the engine as the stressed member. When it comes to suspension, the G 310 R employs 41 mm upside down forks in the front with a monoshock at the rear with adjustable preload. The bike features disc brakes at each end with the front and rear disc being 300 mm and 240 mm respectively. 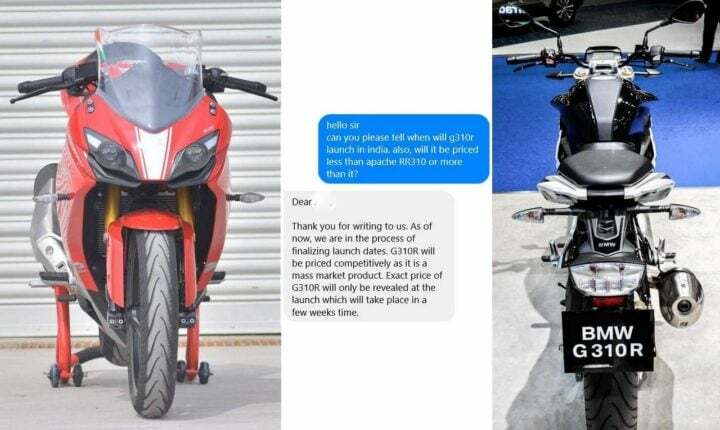 The facebook reply seems legit but goes against the statement of MR. Dimitris Raptis, BMW Motorrad Asia, China, Pacific and South Africa sales who claimed that the BMW G 310 R and BMW G 310 GS will enter our market in the second half of 2018. If reports are to be believed, the delay is due to the poor network of BMW Motorrad in India and the company wants to improve it pre-launch. Currently, BMW Motorrad’s dealer network spans to Mumbai, Pune, Ahmedabad and Bengaluru.